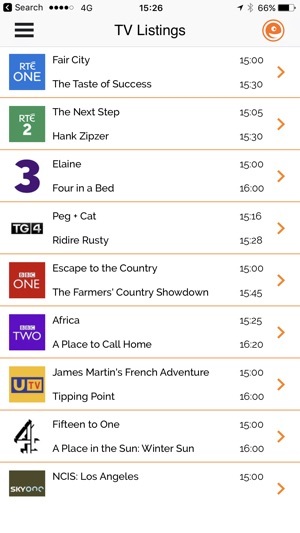 Ireland's ultimate and essential FREE TV companion - new update. 7 Day TV listings guide with full programme details, descriptions and reminders so you don't miss your favourite shows. 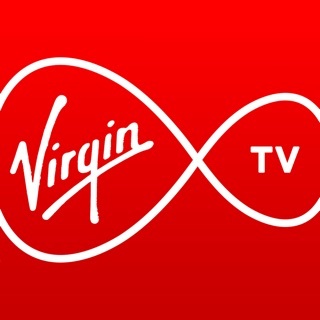 What's On Now & Next - now accessible from the TV listings menu. New shows coming to NETFLIX for the month ahead, including the editor's pick. TV News about all your favourite shows such as Game of Thrones, The Walking Dead, The Graham Norton Show. 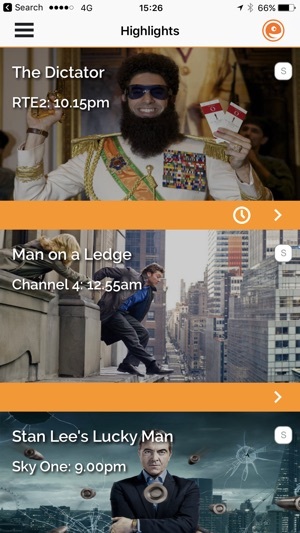 Set your own favourite channels to appear in the TV listings. I haven’t used this app in months beacause I didn’t really watch tv and then I came back to this bull****! I used to be able to search my favorite show and set a reminder but I can’t anymore only highlights and now there is adds they changed the layout when there was nothing wrong with the old one if entertainment is looking at this put back the ability to set reminders! Each time I open the app, an add pops up for a new movie due to open in the cinema soon. Hitting X to close this add only seems to crash the app. I have removed and loaded the app on my phone a few times now, but it’s no good. It’s just a waste of time now. Deleting the app completely now, after using it for a few years.